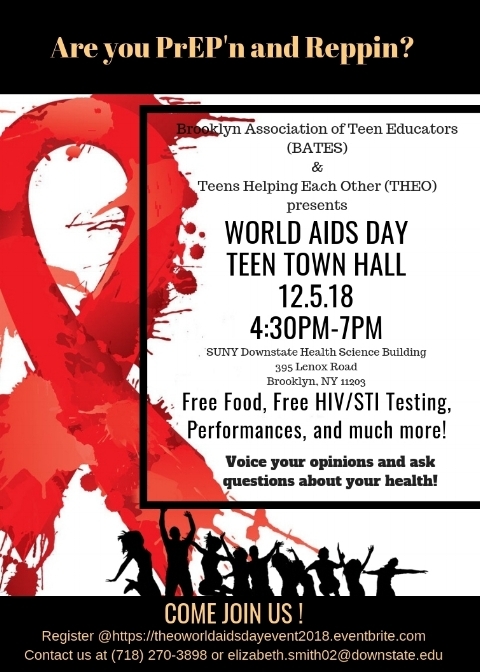 Join us for our World AIDS Day Teen Townhall event! Connect with us as we have a conversation about how you can TAKE CONTROL of your sexual health! Bring your questions and opinions to the panel discussion. This year as we remember those living with HIV and lost to AIDS, we will take a look at how close we've come to a healthier community through prevention and information.